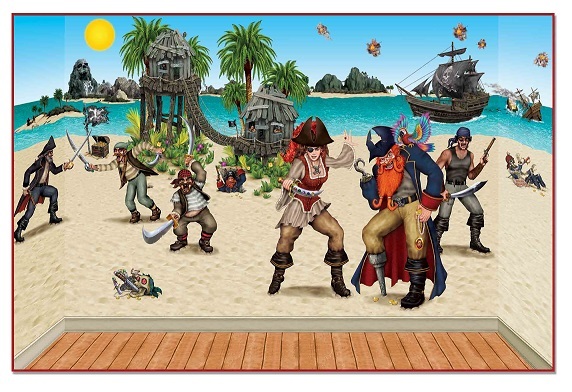 Create pirate wall murals in your own home for a pirate theme birthday party or just for fun in a pirate themed play room. The Blue Sky & Ocean and Beach Backdrops are the core foundation for this pirate backdrop. Your venue will look like a scene from a pirate movie, Insta-Theme backdrops are 30 feet wide and can be cut to fit your room, hallway, or banquet hall. Be sure to shop our Pirate Party Supplies for everything you'll need to throw a great pirate party.